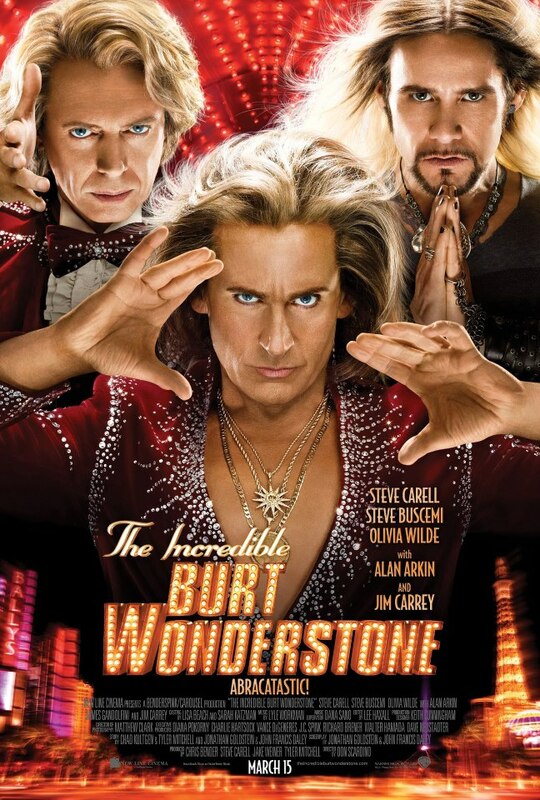 The Incredible Burt Wonderstone is the latest comedic vehicle for Steve Carell and this time around he brings along Steve Buscemi, Jim Carey, and Olivia Wilde for a ride through the competitive world of Las Vegas' performing magicians. First time director movie Don Scardino brings his expertise to the big screen after years of working on television shows like 30 Rock, Cosby, and Law and Order. As kids, Albert and Anthony (Carell and Buscemi) were the type of outcasts that suffered daily abuse from their classmates, but after Albert receives the "Rance Holloway Magician's Starter Kit", the two join forces and eventually become the hottest ticket in town on the Las Vegas strip with their "The Incredible Burt and Anton" casino stage show. 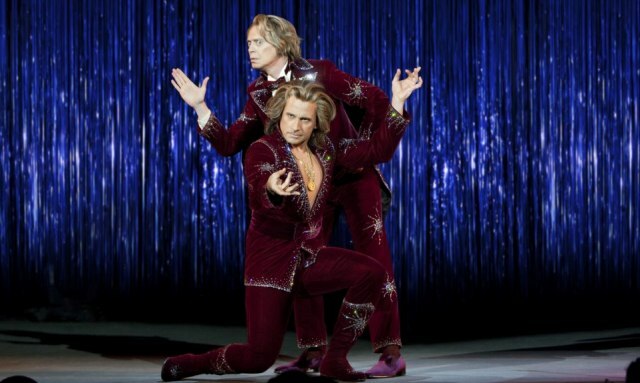 As they enjoy a long run of sold out performances, the eventual negative effects of their wild success begins to creep into the middle of a friendship that was supposedly unbreakable. After years of performing the same routines again and again for over ten years, the act that once dominated all others begins to show some vulnerability. As their stars begin to fade, Steve Gray (Carey), a rogue street magician, appears out of nowhere to take the spotlight away from the curtains and stages of their big time casino production. 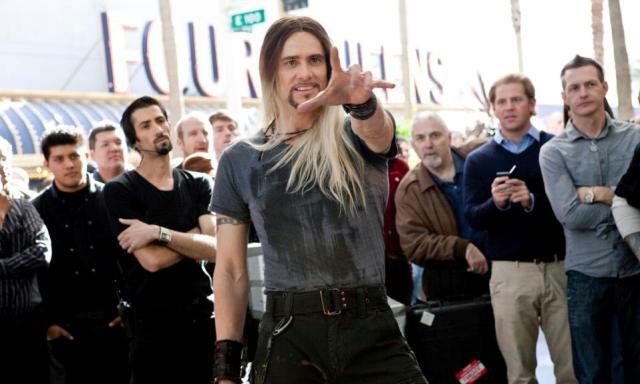 After a last ditch effort to save their show fails miserable, the two go their separate ways and the formerly incredible Burt Wonderstone must come to terms with where he is in life before he fades away and disappears forever. For the most part, this is a pretty standard format comedy that hits all the usual beats that you would expect. Carrel gives his usual wacky performance although, while his character goes through a redemption phase, I never felt like he ever fully leaves behind the arrogant blowhard his character must internally deal with. I feel like an actor with more ability would be able to better handle Burt's journey, but Carrel is basically in place to be goofy and draw out as many laughs as he can. I had a much better time watching the rest of the cast as Jim Carey brought his larger than life persona to his already outlandish Steve Gray character and I almost wish the movie has been about him and not Carell's Burt Wonderstone. 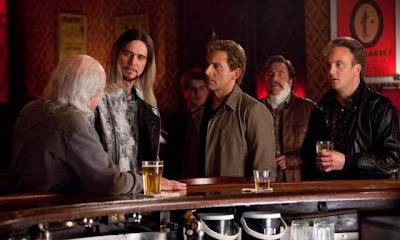 Steve Buscemi did a good job with the sidekick role he was given, but he didn't have a whole lot to work with. 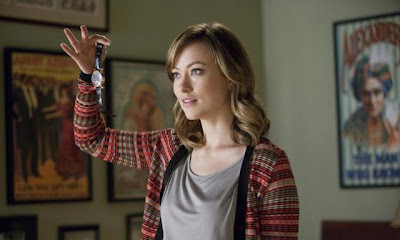 Olivia Wilde was also underutilized, but its always great to see her beautiful face on the screen so no complaints there. The Incredible Burt Wonderstone is far from incredible and my best recommendation would be for you to lower your expectations to a level that will allow you to just kick back and enjoy a mildly funny movie that you'll most likely forget not long after you see it. What you'll get back is a few good laughs and...well, that's about it.